In light of the new carrier plans that no longer require a two-year contract for the service, we asked you last week whether you prefer to pay for your phone full price now, or do it gradually over time. Both approaches have their virtues, as when you just buy your phone outright, you wouldn't hassle with each carrier's early upgrade requirements, for instance. On the other hand, if you pay on installments now, you no longer have to give $199 or more upfront for a high-end device, but can just get it for a set amount of even payments - essentially an interest-free loan. It turned out, however, that the majority of our 1898 respondents prefer to pay for the phone full price, instead of being bogged down in a sort of a long-term contract again, albeit for the installment plan, requiring good credit, and sometimes coming with early upgrade restrictions. About 30% prefer to pay the handset over time, instead of parting with a few hundreds outright. 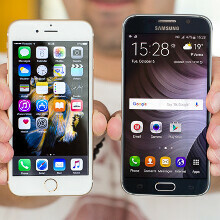 To each their own, though we suspect that with the abolition of two-year contracts and carrier subsidies, buyers may become more price-sensitive, hence could be looking more and more toward good deals on unlocked handsets, which might present an opportunity for phones like the $200 Honor 5X and the booming value-for-money segment overall. Do you prefer to pay for your phone on installments, or buy it outright at full retail price? I believe the majority of people will prefer to buy their handsets outright because now the price of the phone can be easily calculated instead of being obscure by being included in the contract pricing. People only bought phones with contract upgrades because it was usually better than the alternative in most cases of just staying on the same monthly rate with no phone (even with retention bonuses). Now they will either keep their devices for longer or just buy it outright but with more thought going into performance or features per dollar. On a side note: I think the installments option was primarily introduced in the US to combat Apple and their aggressive contracts with carriers. Carriers were forced to "buy" phones from Apple unlike with other OEMs who still owned the phones carriers sold. This meant huge hits to carrier balance sheets that wouldn't pay off for years and so they've been trying to get people away from iPhones for years now. This will probably make matters worse for Apple in 2016 since now all major carriers have killed contracts and come renewal time, more people will choose to stick with their own devices longer rather than take that cheap upgrade with the contract renewal. Prefer to pay for it like it used to be, $199 for the top of the line phone from your carrier. We still get the subsidized prices ($199 for most new top of the line phones, with new phone eligibility every 10 months) through our business mobile plan. I would like to pay for my phone full price as there are usually many good deals on unlocked phones. However, I voted for paying in installments because I can never be sure if an unlocked phone will work with T-Mobile and I like to have the phones with the carrier perks like WiFi calling and VOLTE certification from my carrier. That's the reason why I had to sell my Z5, because even though it had the LTE bands, I couldn't do voice calls over LTE and it was creating many problems taking calls. Thus, I like to get my phones straight from the carrier, and since it's a zero interest loan, I might as well pay it in parts. I have a job that allows me to still get subsidized pricing as often as I want. Yes, I'm very fortunate I know. In both my business and personal account, I have always bought my stuff outright. (10 lines). Subside. The package is cheaper than separate buys. Outright. But I don't buy the newest device, I buy last year's for way less and save. Gonna buy me a Nexus 6 64gb as soon as I get my tax refund. Less than half what it cost a year ago, and should be good for another 2-3 years, or until I get that itch again.